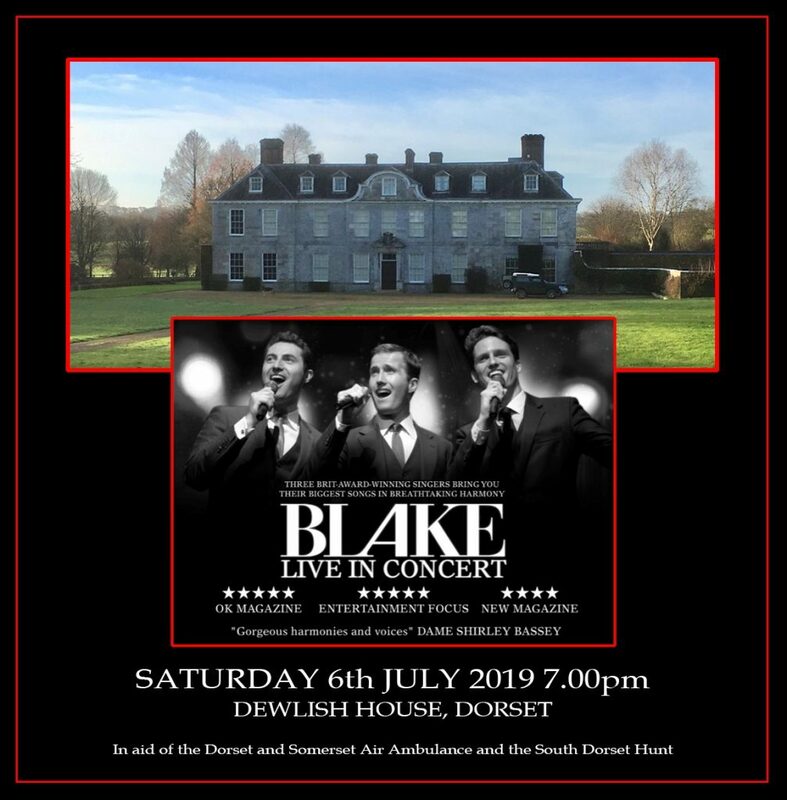 “Renowned for performing classical, musical theatre and pop songs in stunning harmony vocal arrangements, BLAKE comprises three young men who enthrall fans the world over with their amazing singing, hit albums and charismatic stage presence. £40 per person, in aid of the Dorset and Somerset Air Ambulance and the South Dorset Hunt. Additional acts tba, Pimm’s marquee, picnics may be supplied if preferred.